I’m a fan of so many things. Since we’re strictly discussing things of the edible variety here, I will refrain from sharing my entire list. I will say that my fanaticism for foods seem to ebb and flow – mostly with the seasons and my mood. Right now I’m a fan of fresh strawberries. They can’t be beat. Plucked at their peak, they smell so good I almost don’t want to eat them. But I do. And then they somehow manage to taste better than they smell. 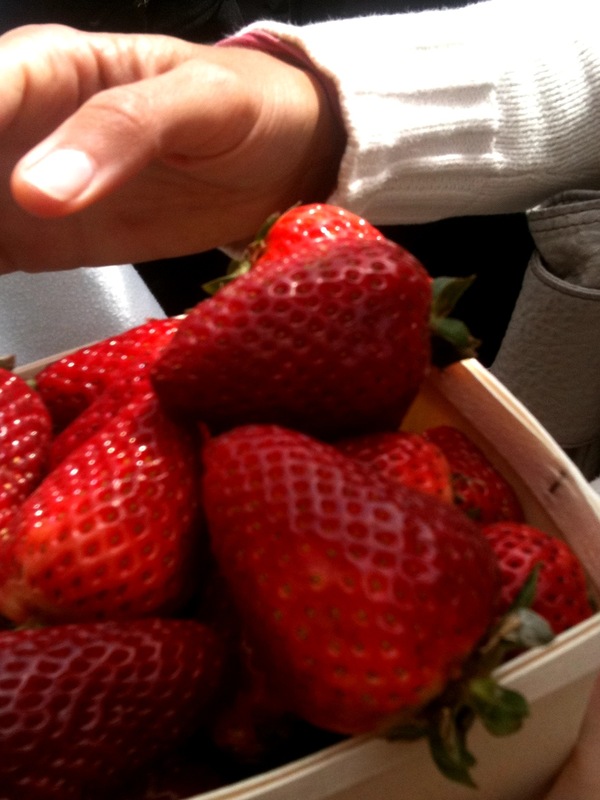 Magical ruby gems, those early summer strawberries. Although I’m a fan of many things, I don’t consider myself a worshiper of much at all. I do, however, worship kale. I really do. Why? I thought you’d never ask. Kale is as delicious raw as it is cooked. It is considered one of the world’s healthiest foods and scores a perfect 1000 on that newfangled food rating system that Whole Foods recently adopted called the ANDI (Aggregate Nutrient Density Index). It grows easily and year round in moderate climates like San Francisco. It is affordable. It can be the main attraction or the demure understudy. I’ve even whipped up a batch of kale pesto, substituting raw kale for fresh basil. That recipe alone is worthy of another post. Seriously, what’s not to love? Kale is divine perfection. 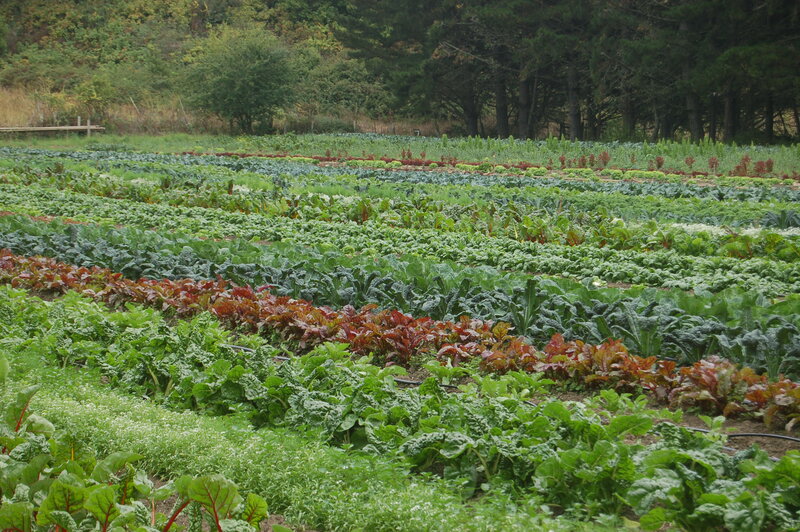 Before this post turns into a sermon, I’ve got a kale salad recipe to share. Actually, I’ve got two. Upon trying and tinkering with both, I’ve created a hybrid version that combines my favorite components of both. I’ll include both recipes and my notes and you can take it from there. It’s true. The salad is a potential life changer. I can’t stop eating it. I’ve tinkered with it quite a bit, adding toasted pumpkin seeds, thinly sliced red onion and avocado (borrowing ideas from the next recipe). I want to try it with grapefruit slices. The salty sister to the former salad’s sweet, this next salad can hold her own. I got the recipe from my new friend Shekinah, who served it for dinner with grilled salmon and white wine on her sunny patio in Oakland. It is officially called a “Massaged Kale Salad,” but I don’t like the word “massage” in a recipe. It makes me un-hungry. However, it is worth noting that raw kale must be kneaded or smushed or scrunched so it loses its toughness. Raw kale needs love. 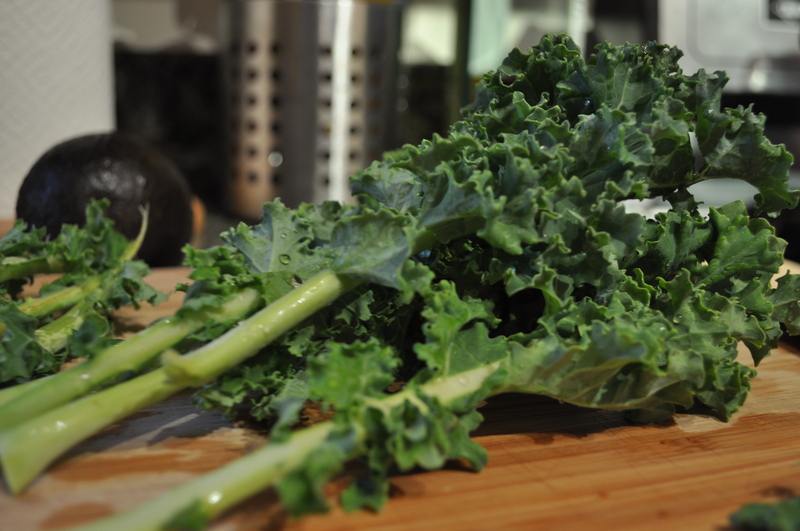 Slice kale in 1/4″ slices – take your time! This is an important part! Add kale to dressing and MASSAGE until all ingredients are well combined. Sing a song. Daydream. Whistle. Mix in sprouts and seeds. Strain off any extra dressing and enjoy! All hail the mighty kale. Can’t wait to massage me some Kale! How do I get my hands on some of that maple syrup? Mustard Jones is going down. Downtown Julie Brown. mil gracias for the berries. they made the coast to coast trek in perfect form. eating another now. and, hail to kale, always. Yum and I too worship Kale! I have made many a raw kale salad but never with Maple Syrup..where can I get my hands on some of that goodness?